We manufacturing and exporting Lubricant Container Making Machine Single Station. 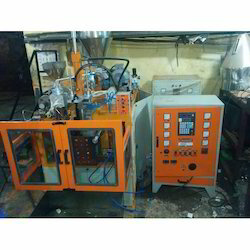 This Lubricant Container Making Machine Single Station is used in various industries. These Machine is developed from the finest quality material & contemporary techniques keeping in pace with industry norms. The offered Lubricant Single Station Making Machine is accessible in assorted specifications to meet the needs of the customers. 500 ml to 10 Liters and price range 6 to 30 Lakh. Looking for Lubricant Container Making Machine ?